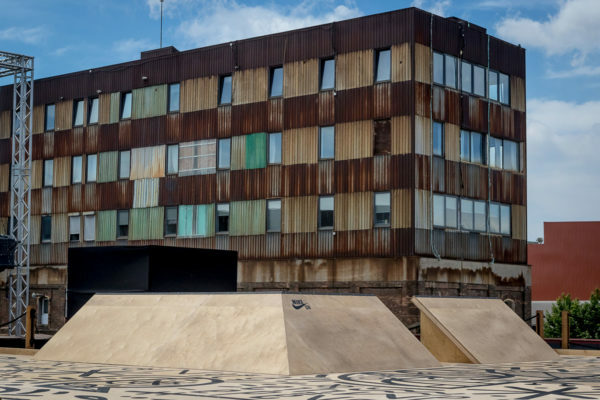 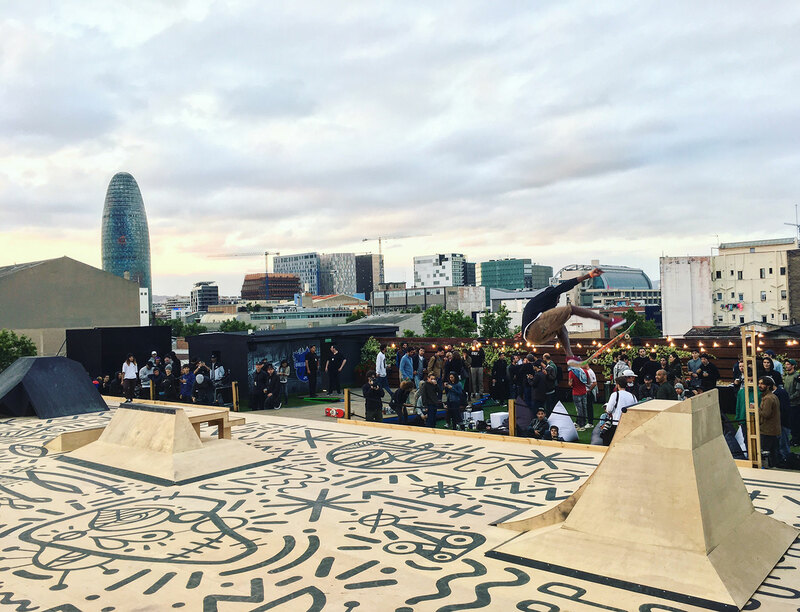 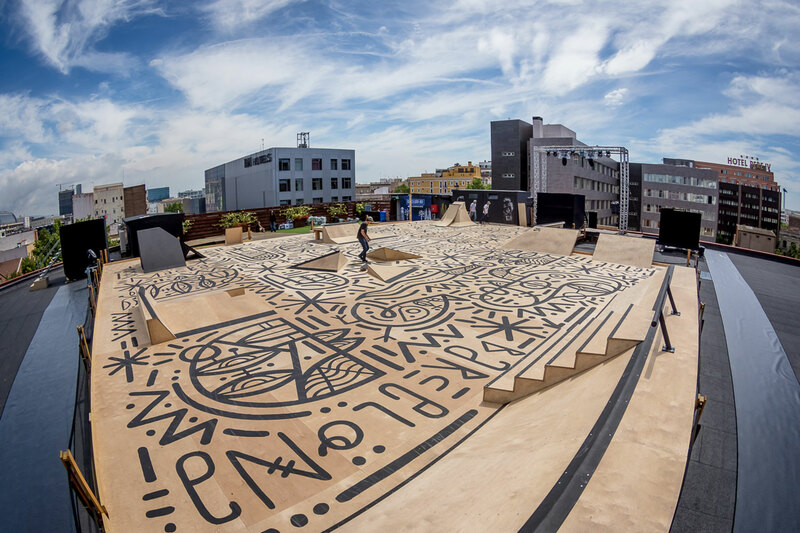 Project: This is a private Skatepark located on the rooftop of Razzmatazz Club in Barcelona. 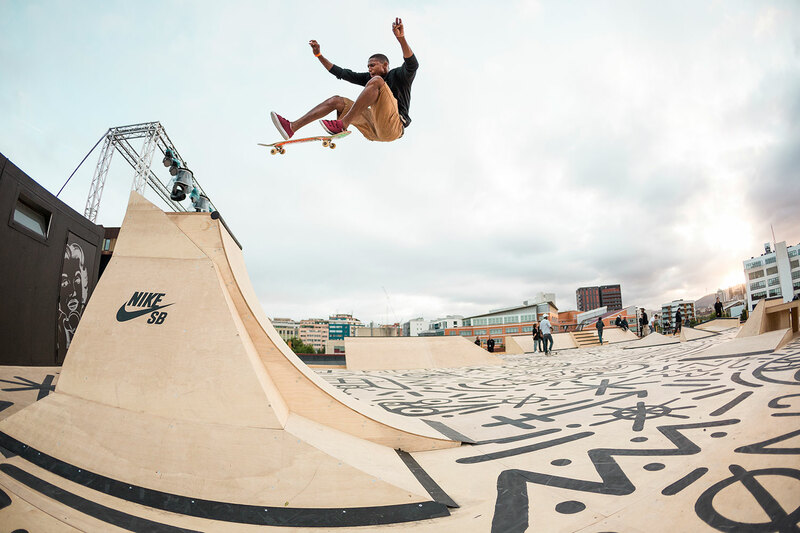 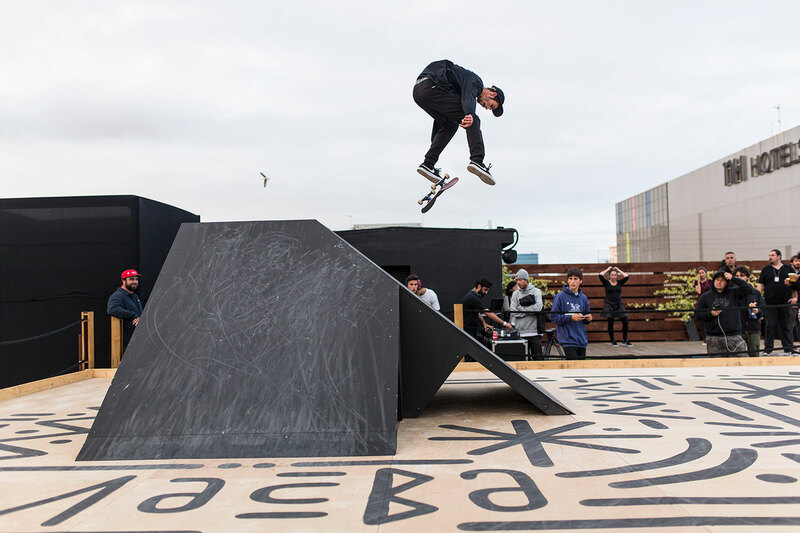 Nike Skateboarding was in charge of the event parallel to the Street Lea- gue event. There were a photo shoot and video shoot with some of the best Nike ska- teboarders (Ishod Wair, Luan Oliveira, Paul Rodriguez and more). 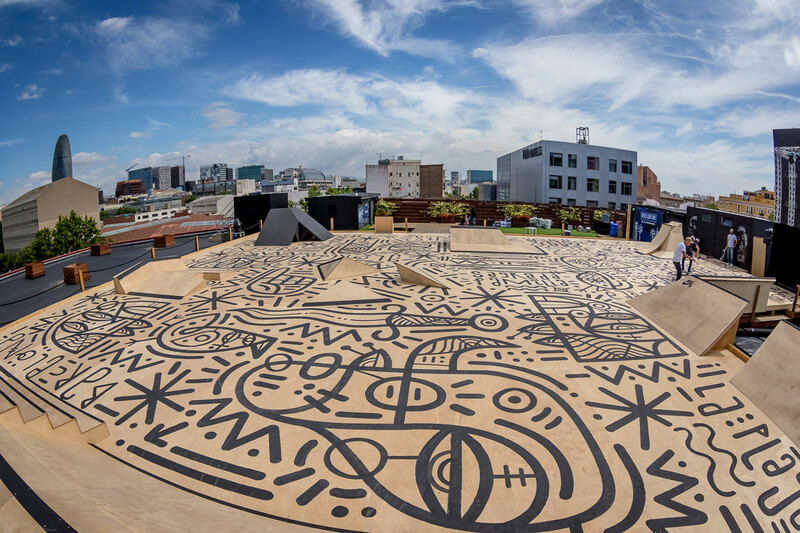 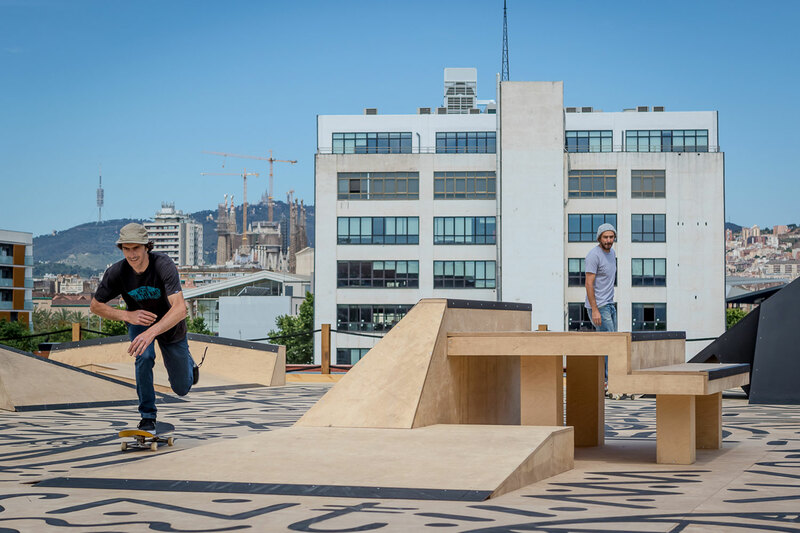 The rooftop Skate- park was designed by Enrico Gorrea, a well known Nike SB international artist. 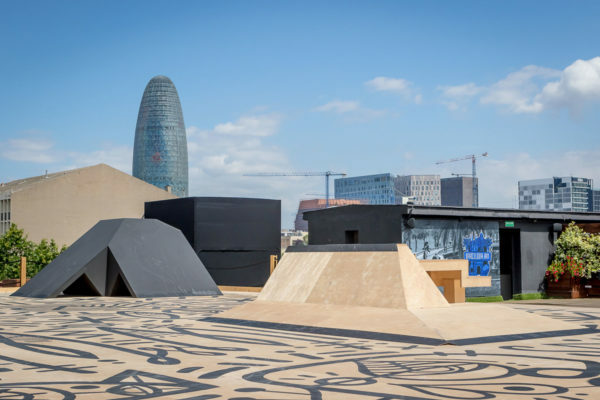 There were wooden obstacles based on street spots in Barcelona like the Sants bench, the MACBA ledges and the Via Laietana module. 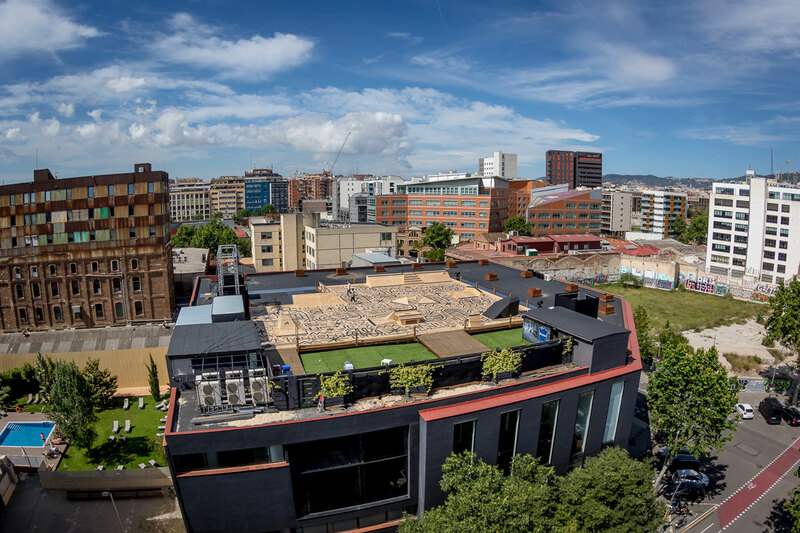 Location: A On the rooftop of the Razzmatazz club in Barcelona, Spain.